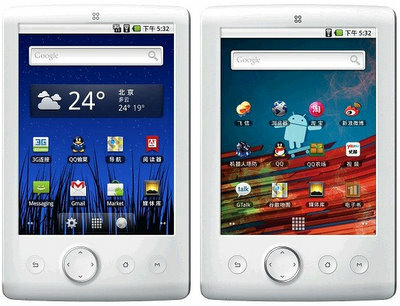 SmartDevices, the company best known for it’s Linux (Ubuntu) powered tablet, is about to release a new Android 2.1 powered tablet – the SmartQ T7 and the SmartQ T7-3G models. These new SmartQ tablets have a 7 inch touchscreen display and again, are powered by Android 2.1. The SmartQ has both WiFi and 3G support for Internet connectivity.